Improperly inflated tires put unnecessary strain on certain parts of your tire, cause uneven wear, and increase the chance of an inconvenient flat or a dangerous tire blowout. 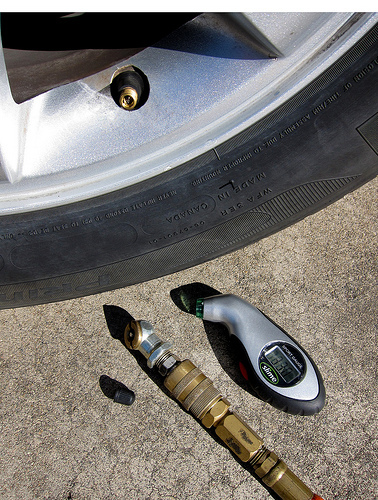 Under inflated tires make it harder for your vehicle to roll, which reduces your gas mileage. Be sure to check your tire pressure regularly and maintain the recommended pressure listed in your vehicle’s owner’s manual. Jiffy Lube of Indiana centers will check and properly inflate your tires to the recommended levels as part of the Jiffy Lube Signature Service Oil Change.